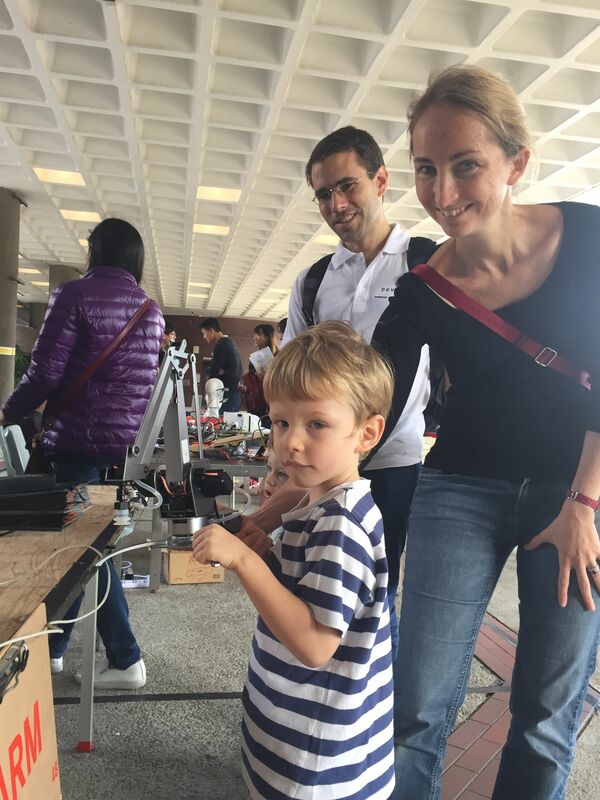 Last weekend, We joined the Hong Kong ‪Maker Faire‬ 2015. This show was more closer to something that was not difficult but funny, and you were encouraged to do something you could by yourself. So there were many children and their parents coming here to enjoy the show. uArm was very popular with lovely children the very day，also interesting in “big children”. All of them was full of curiosity and actively asked us many questions. “How much payload is this arm?”, “is its body all metal?”, etc. They was so excited, so was I. So many lovely children surrounded us! It was a signal that uArm could be designed more cute! We are happy to help future kids to know more about robot and the basic method of electronic and mechanical.